Purpose The Saver Emergency Breath System is a personal life-saving device designed to mobil.. Adult Duckbill Face Mask - Box of 20 Particulate Respirator NIOSH #84-A-4336 N95 Ap.. 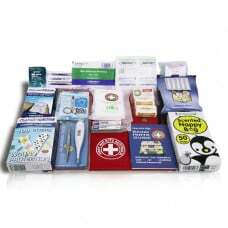 The K101 Car First Aid Kit is the perfect addition to the corporate environment. It is for a&n..